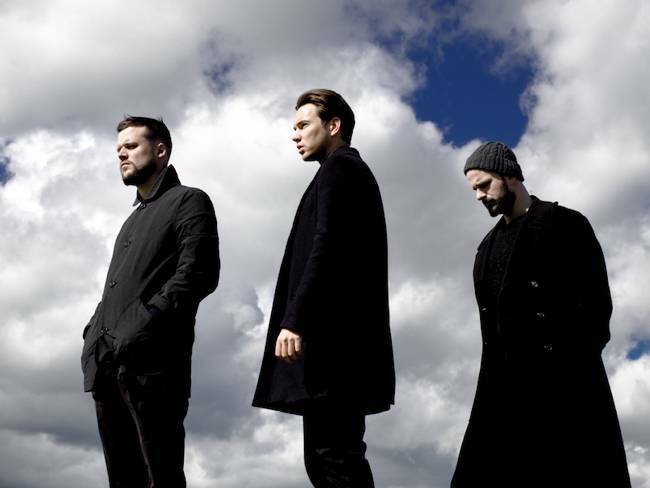 White Lies first broke into the British indie music scene in 2009 with the release of their debut album To Lose My Life.... The album offered a pensive and lyrically reflexive look at existentialism and the perils of living, delivered with Harry McVeigh's Ian Curtis-evoking baritone vocals. While crafting songs that contained lyrics that made you look at the frailty of your own existence ("I'm only going where you'll be someday / So don't say rest in peace in your prayers") earned the band's sound a dour reputation, White Lies have diversified their output since then. Now on their fourth album, Friends, the three piece consisting of Harry McVeigh, Charles Cave and Jack Lawrence-Brown, have built a steady output that encompasses dance, indie and even a concept album in the shape of 2013's criminally underappreciated Big TV. Prior to all of this, frontman Harry McVeigh lived in Shepherd's Bush in West London, and was on the dole and worked as a guitar teacher for a time while waiting for the band to take off. Looking back on that period of your life from where you are now, how do you feel? "I feel very lucky to be where I'm at every day. I enjoy the world of music and I think we're decent musicians. Honestly, there's no better job I could think of doing. I think our best work is ahead of us, but sometimes it can be frustrating when you feel you're yet to reach your full potential. I guess that means in some ways we still have the same hunger that we had starting out." 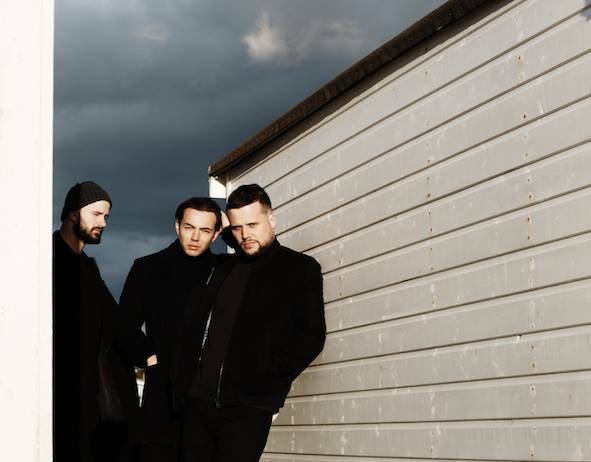 The band's latest album Friends (which was released late last year), might come as a surprise to any fans whose familiarity with White Lies' music hasn't stretched beyond listening to their debut. The album looks at how friendships change as you reach your late 20s, to a soundtrack of surprisingly upbeat, occasionally synth-inflected songs that still flirt with the darkness and devastation that makes their music so affecting. So, was it always the plan to have some dance-focused songs on the album? "We had decided before we wrote anything for the record that it would be a good idea to have a few tracks that people could groove to. We played a few shows at the end of the last album tour to audiences that didn't really know our music, so we wanted a few songs that were more immediate during a performance." And since your new album deals with how friendships change, what feedback have your friends given you about it? "They love it! Fortunately I think the people that some of the songs are about are blissfully unaware. Honestly, we have had an amazing response to this album from friends, family and fans. It makes me hungry to write and record the next one." 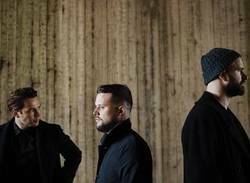 More than just an album, White Lies created an immersive experience with the release of Friends. The album's cover art, a drawing of a section of a maze with three solitary figures standing at different points, was transformed into an interactive piece on their website. The fans become one of the solitary figures, racing around the maze trying to unlock hidden content from the album. Where did the idea for the Friends maze come from, and how much involvement did you have in the final product? "The maze was arrived upon at the end of a long process. We had our hearts set on some paintings by a favourite artist, but unfortunately they weren't available for us to use. Instead, we worked with a great design company in London called Big Active, who also designed the covers for TLML and Big TV, and developed the maze idea with them. It reminded me of some of my favourite dusty prog rock record covers from the '70s. We wanted a design which featured brighter colours as we felt it represented the slightly lighter side to some of the songs on the record." While the record doesn't carry the existential weight of their earlier work, the band still got inspiration from curious sources. Harry explained that an early incarnation of "Take It Out On Me" was about a strange man on Instagram who kept commenting on his friend's photos with pseudo-biblical verse. "The song was originally called "Eighty-Nine-One-Three," which was a reference to Bible verses that he would mention in all of his videos. "Take It Out On Me" is actually not about that, it was the original lyrics which referenced the biblical crazy guy." What's the strangest interaction that you've ever had on social media? "I don't really use any social media so I can't speak from personal experience, but I do sometimes see pictures of people with White Lies tattoos. I find this very touching and mad in equal measure!" At the core of this album is tight musicianship between all three members of the band, who have been together since they were teenagers when they first started performing as an indie outfit called Fear of Flying. So, has Harry's friendship with Jack and Charles changed since they first got together as Fear of Flying, if at all? "Not much, really. We're still pretty much the same guys as we were back then. If anything we've regressed to a more child-like state as the band has aged. I think as a collective we have learnt a lot though the years, especially in regards to songwriting. I keep hoping that we have our best music in front of us." Words by Aideen on April 2, 2017, 3:20 p.m.
Posted by Aideen on April 2, 2017, 3:20 p.m.